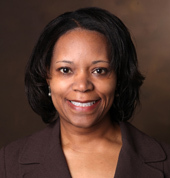 Consuelo Wilkins, M.D., MSCI, executive director of the Meharry-Vanderbilt Alliance, has been appointed to a national committee charged with determining how best to return to research participants the results of studies of their blood and other bio-specimens. “Return of research results” has become a contentious issue as technological advances have outpaced guidance for how best to report individual-specific laboratory findings, explained Wilkins, associate professor of Medicine at Vanderbilt University School of Medicine and Meharry Medical College in Nashville. While clinical labs are required by the U.S. Centers for Medicare and Medicaid Services (CMS) to obtain Clinical Laboratory Improvement Amendments (CLIA) certification to assure quality and consistency, this regulation does not apply to research labs. Results may vary from research lab to research lab, depending upon the study that is being conducted, Wilkins said. That’s because studies are designed to answer research questions and not to provide the basis for an individual-specific risk assessment, diagnosis or treatment. If individual results will now need to be reported in a consistent manner, will research labs also need to be CLIA certified? Or will research subjects have to order repeat tests of their biological material in a CLIA-certified lab? Either way, “that increases the cost of doing research,” Wilkins said. Participants presumably will share their test results with their doctors, who will need to take time to understand the implications — and limitations — of the research. How should clinicians respond, for example, to a genetic finding that suggests their patient may be at increased risk for Alzheimer’s disease? What assistance might research participants need to understand and respond appropriately to the implications of their findings? Will wider availability of genetic testing increase the possibility that participants with potential pre-existing conditions are denied health insurance? “There are many things to consider,” she said. The 15-member committee, chaired by University of Utah pediatrician and ethicist Jeffrey Botkin, M.D., MPH, held its first meeting in mid-July. It will meet again Sept. 6-7 in Washington, D.C., and is charged with submitting its report to NIH, CMS and FDA by next summer. Wilkins said the National Academies of Sciences, Engineering and Medicine, which assembled the committee, invited her to participate as a national expert on engaging communities in research. Wilkins directs the Community Engaged Research Core of the Vanderbilt Institute for Clinical and Translational Research. She is an organizer of a national conference on Community Engagement in Research, which will be hosted by Vanderbilt and Meharry on Sept. 14-15 in Washington, D.C.
Wilkins said the drive to return research results to study participants is a result of the Precision Medicine Initiative announced by then-President Barack Obama in 2015. Supported by the National Institutes of Health, the initiative’s Cohort Program, now called the All of Us Research Program, will study genetic, environmental and lifestyle factors affecting the health of more than 1 million Americans. Last year Vanderbilt University Medical Center was chosen to be the program’s Data and Research Support Center.